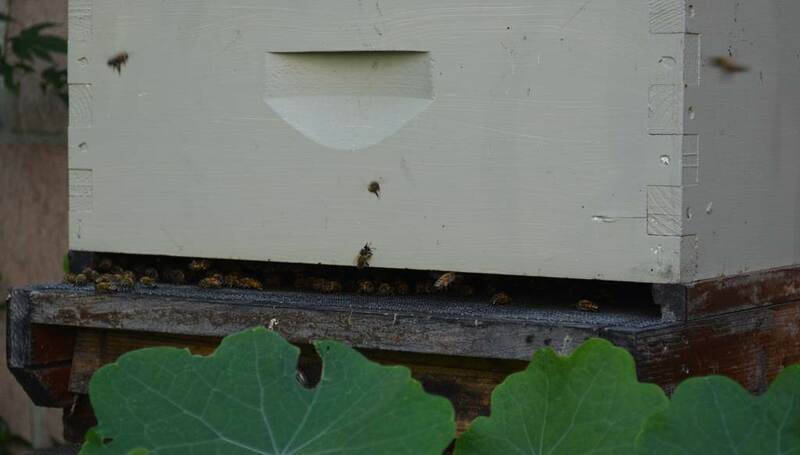 We all know that honey bees are endangered, but if you are like me you may be at a loss for how to address this serious problem. 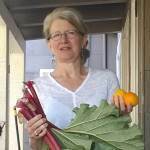 My friend, Frances, is doing her part by keeping bees in her backyard. I’m not brave enough to try that yet, but I may work up to it. 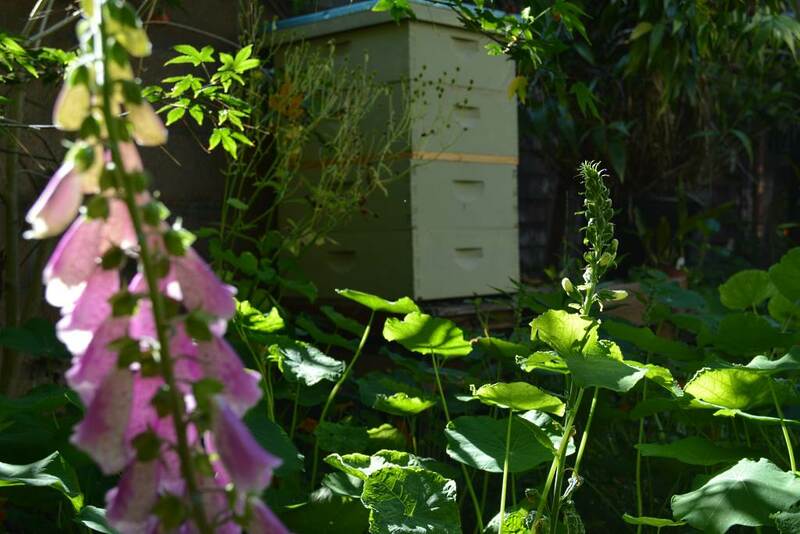 For now I will continue to plant flowers in my garden that attract these indispensable pollinators and honey makers. 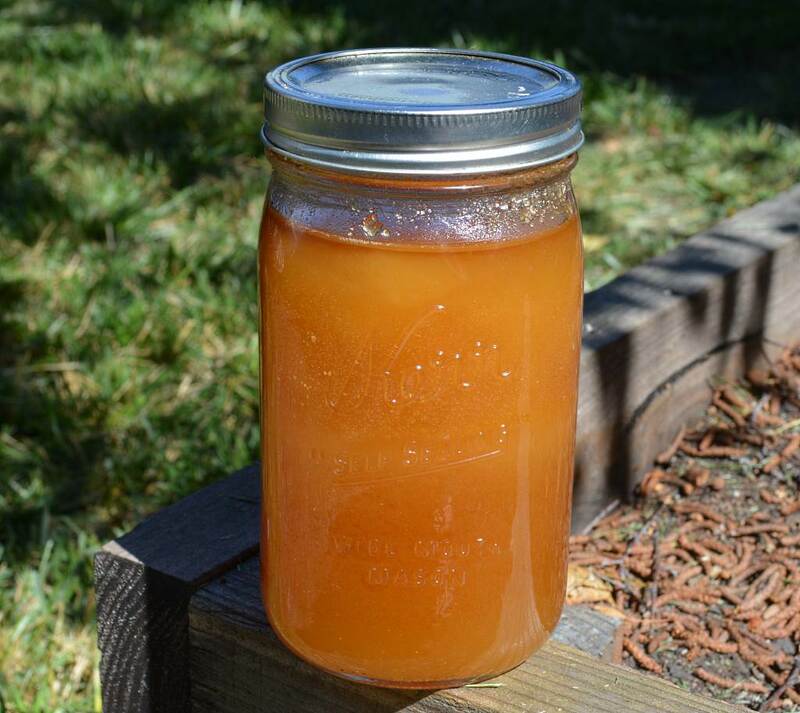 Local honey is wonderful in many ways. 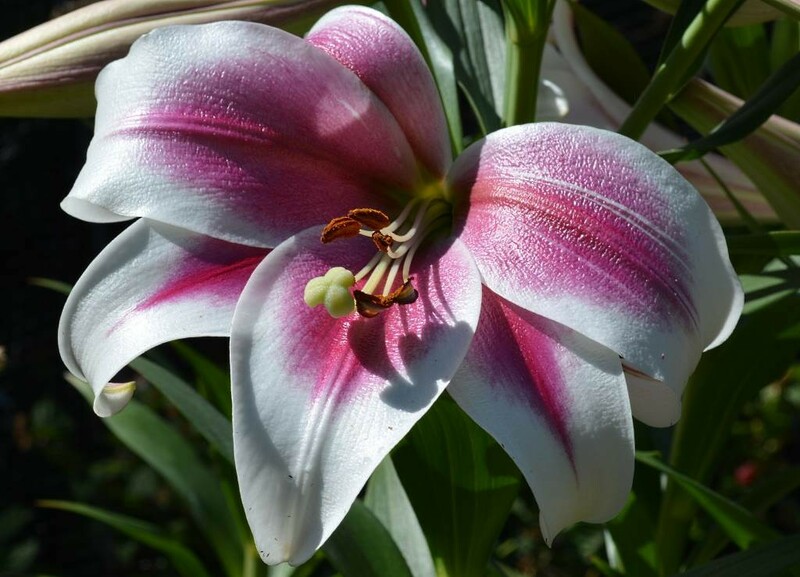 Its flavor is as unique as the flowers surrounding the hive, and it has nutrients not found in other sweeteners. 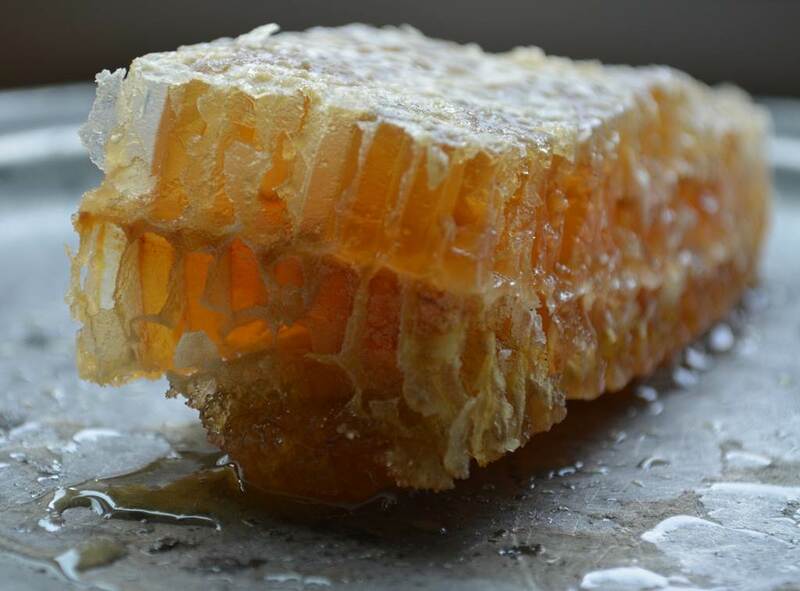 Shockingly, some honey purchased at the grocery store doesn’t contain any honey at all! Read the label to make sure you are buying pure honey. 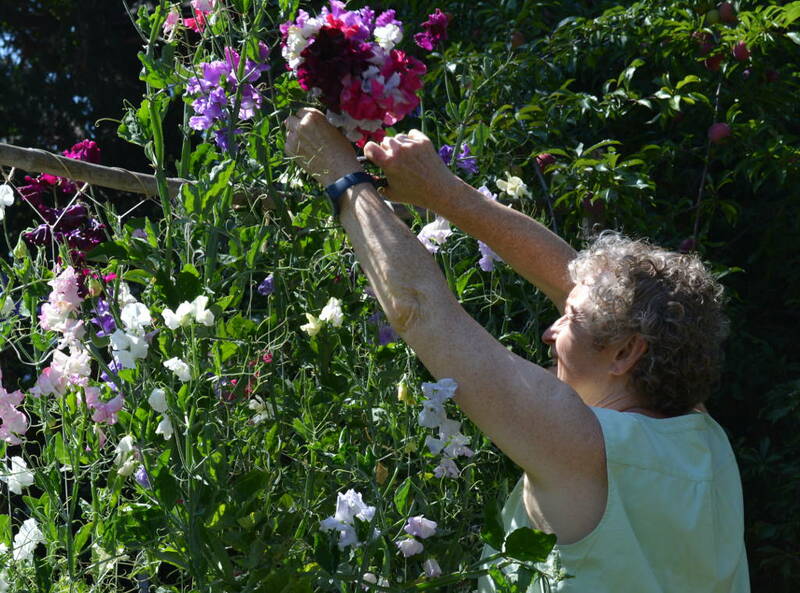 Frances and her husband, Chris, have two gardens where they grow vegetables, fruit trees, and flowers that tower over you–an explosion of color and fragrance. 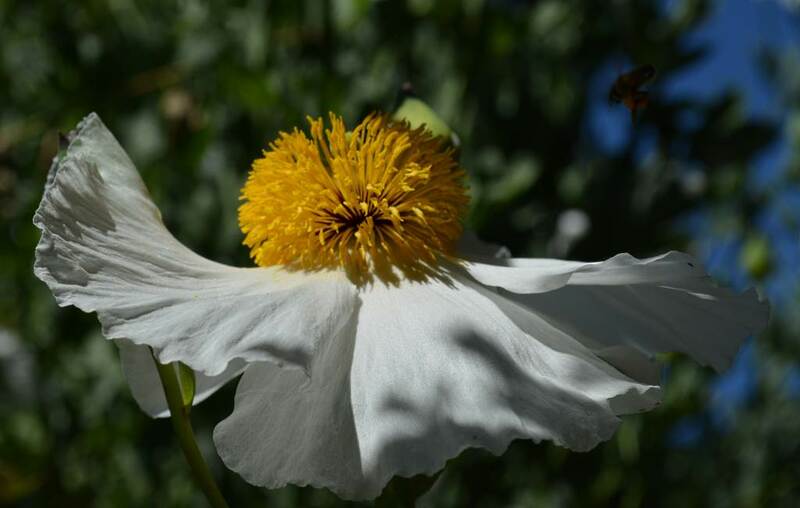 Bee heaven! I’m not sure if happy bees make the best honey, but I like to think so. 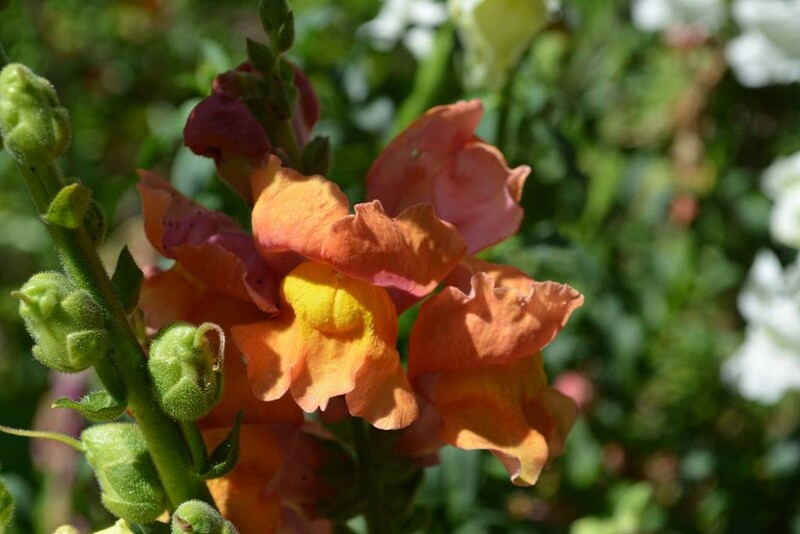 Frances’ honey tastes of sweet peas, floral with a touch of spice. 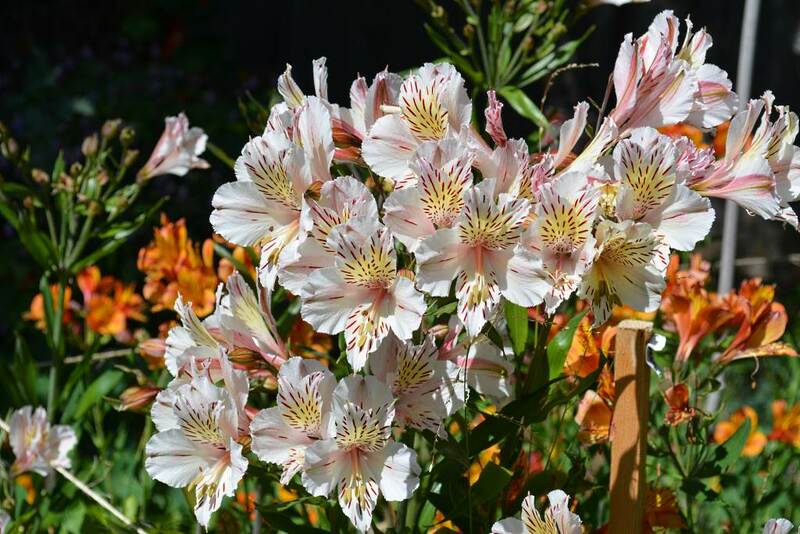 She calls it “Berkeley Honey” to include the nectar drawn from all of her flowers. Because of the loving effort and hard work that went into producing this “Berkeley Honey,” I wanted to use it in a way that would best show it off. 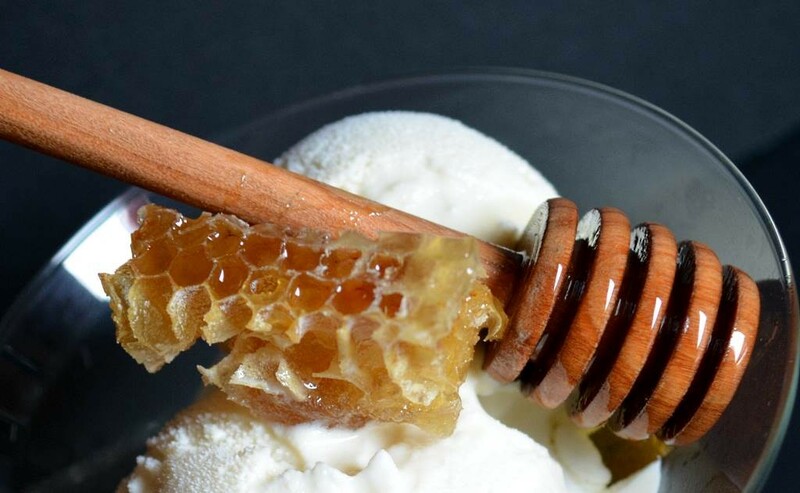 It turns out that when honey is mixed with cream and churned into ice cream, the honey flavor becomes intensified, slightly exotic and, dare I say it, sultry! 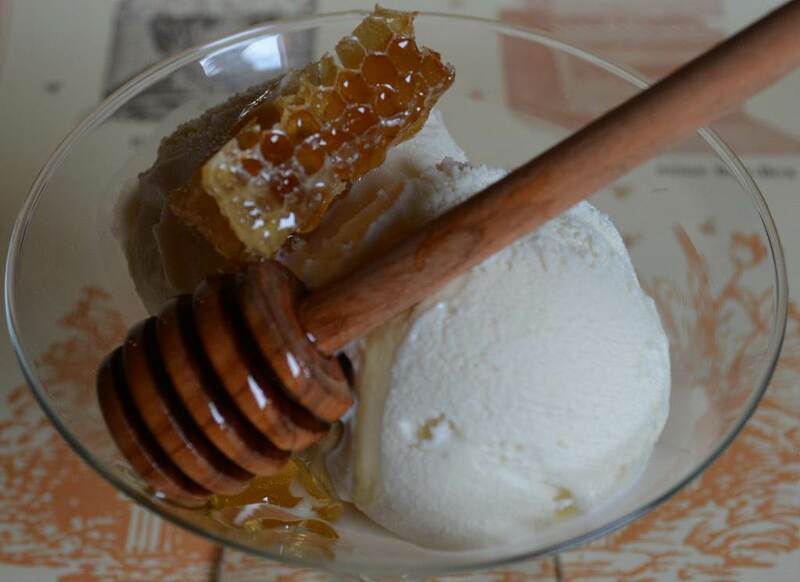 I won’t go so far as to say local honey ice cream is “nutritious”, but it sure nourishes the taste buds. Poppy and bee heavy with pollen. Can you see it in the upper right hand corner? 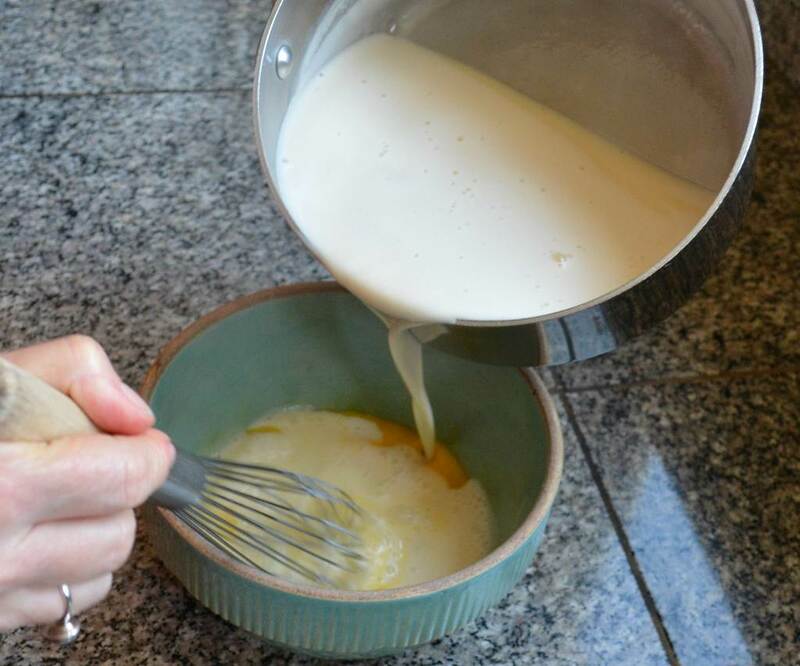 Temper the egg yolks by whisking in a portion of the hot cream mixture. This keeps the yolks from curdling when combining with the hot ingredients. Then pour the mixture back into the saucepan. 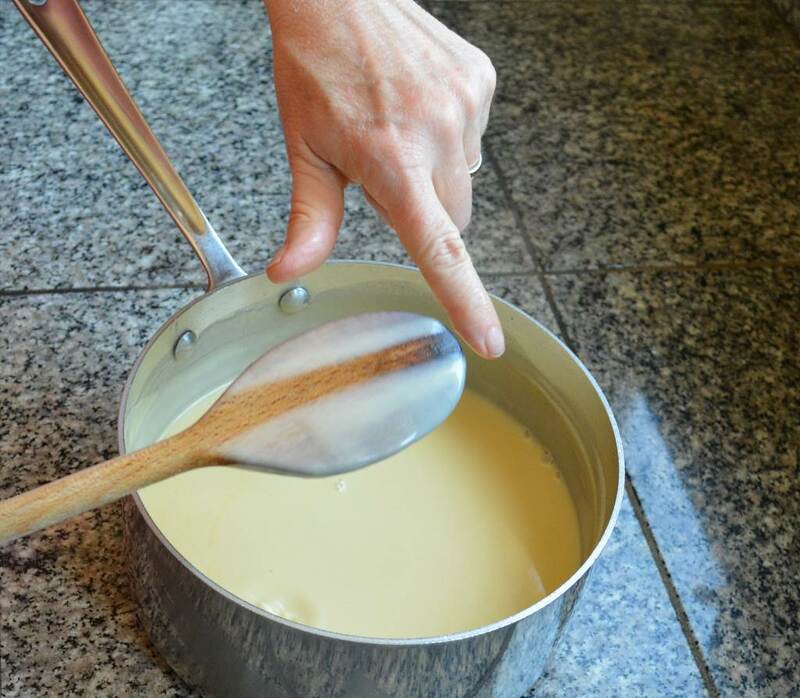 Stir the mixture constantly over medium-low heat until it coats the back of a wooden spoon. Set the bowl over an ice bath to cool. Then cover the bowl with plastic wrap and place it in refrigerator for at least one hour, or preferably over night. Fill a medium-sized bowl 1/3 full of ice water. Set aside. 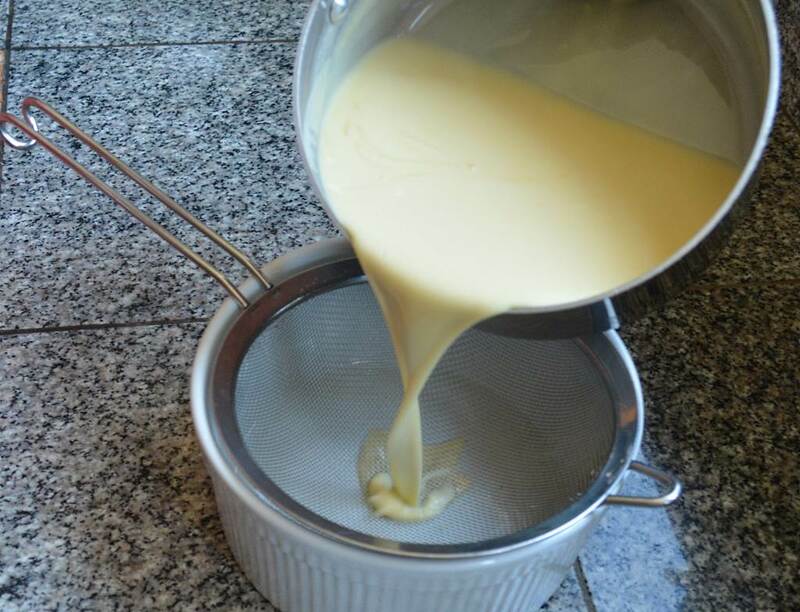 In a medium saucepan combine the cream, milk, and honey. 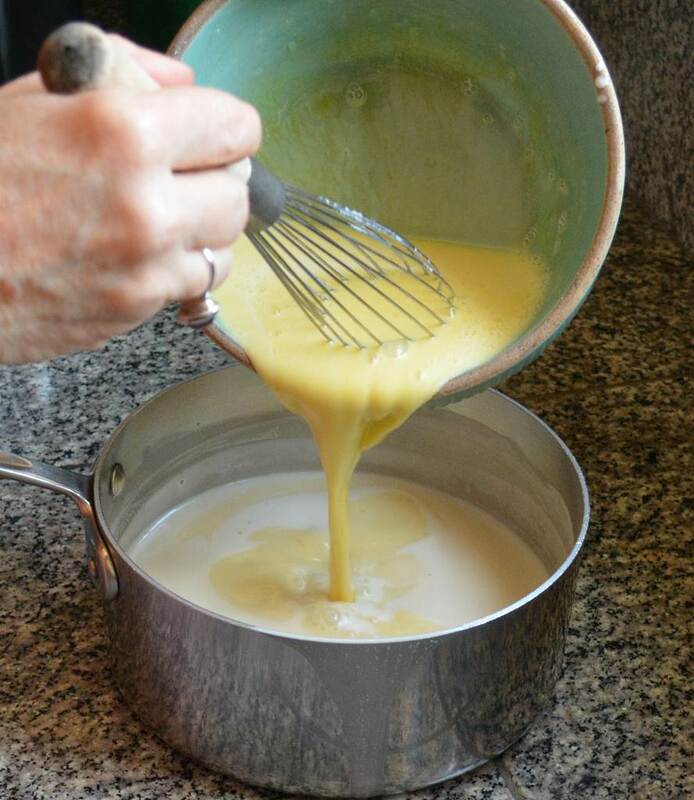 Bring the cream mixture to a gentle simmer. Immediately remove from the heat and slowly whisk it into the reserved egg mixture. Return the combined mixture to the saucepan and cook over medium heat, stirring constantly until it coats the back of a spoon. The time it will take to get to this stage will vary depending on how hot the mixture is when you return it to the pan. 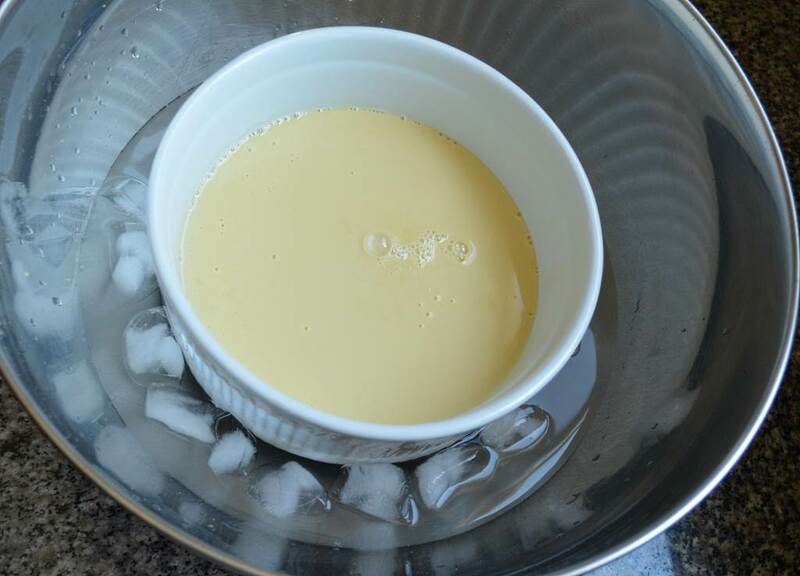 Test often so as not to overcook and curdle the ice cream base. Add the vanilla extract and stir to combine. When ready, strain the mixture into a clean bowl. Place the bowl into the bowl of ice water. Stir occasionally until cool, and then refrigerate for at least an hour. It is best to make the base a day ahead and let chill overnight. Freeze in an ice cream machine according to manufacture’s instructions. 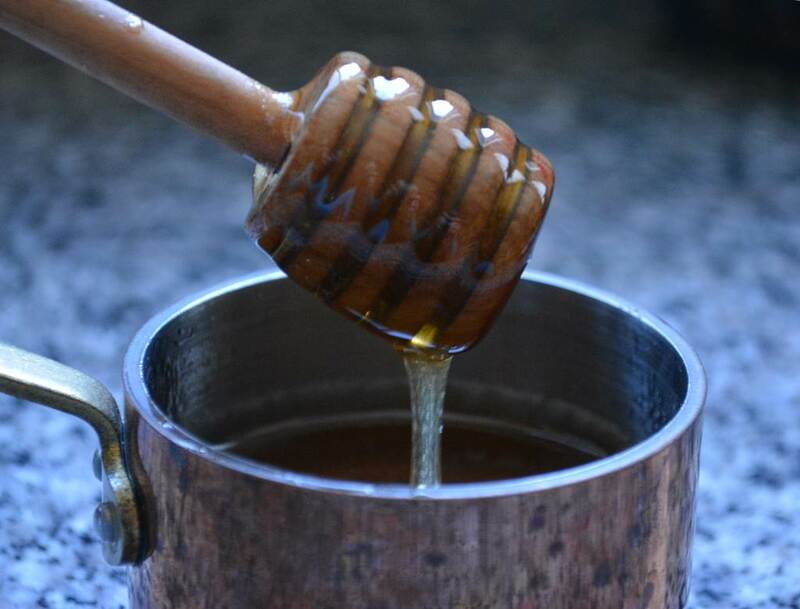 i had great success with this recipe and my friend’s honey – delicious! I paired it with a peach crisp made from farm box peaches! Thanks for sharing! Megan, that sounds amazing! Was it the lavender honey?